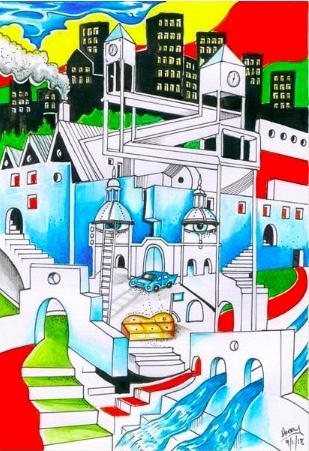 Buy Big City Blues - Original hand drawn surrealistic art illustration. Art Deco and Futurism. Media : Acrylic and felt pen on paper.